Read an excerpt from The Marshall Plan. Remarkably insightful and beautifully written. “In the wake of the devastation of WWII, the Marshall Plan and NATO provided western Europe with [economic and physical] security and kept it firmly on the democratic, capitalist path,” Steil writes. 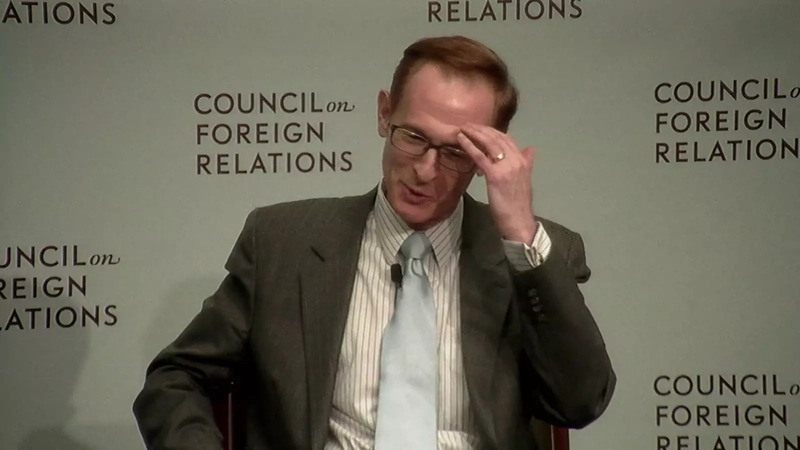 “Yet in the quarter century since the passing of the Soviet Union,” he contends, “Grand Strategy has been set aside in favor of improvisation to pacify competing interests.” As a result, Steil asserts, the NATO expansion policy is failing to extend reliable security guarantees. The Marshall Plan worked, Steil reasons, “because the United States aligned its actions with its interests and capacities in Europe, accepting the reality of a Russian sphere of influence into which it could not penetrate without sacrificing credibility and public support.” Washington is today, he believes, losing both. Educators: Access Teaching Notes for The Marshall Plan. Trenchant and timely. . . . Steil has written an ambitious, deeply researched narrative that not only delineates the interlocking gears of international politics and economics in early post-war Europe but also introduces a large cast of statesmen, spies and economists that perhaps only Dickens could have corralled with ease. . . . The book builds intellectual excitement as the characters act and react to one another. . . . Steil's focus on the debate over the future of Europe's economy provides a fresh perspective on the coming Cold War. Brilliant. . . . Mr. Steil’s is by far the best study yet, because it is so wise and so balanced in its judgments. . . . The maturity and surety of Mr. Steil’s book is nowhere more in evidence than in his final chapter. . . . The book has an invaluable 'Cast of Characters,' a daunting bibliography and a huge 74 pages of notes. It's quite a tribute that it all reads so well. Big, serious, and thoroughly intelligent . . . Steil embeds [the Marshall Plan] in a sharp and critical political history of the first years of the cold war itself. In his final chapters, he looks far beyond the period of the Marshall Plan and discusses parallels and contrasts with the twenty-first century scene. The Marshall Plan is elegant in style and impressive in insights. Steil, director of international economics at the Council on Foreign Relations, has an enviable gift for presenting complex economic and geopolitical issues in crisp, readable prose. This is a gripping, complex, and critically important story that is told with clarity and precision. The book is superbly documented and reflects an extraordinary level of research. Drawing extensively on U.S. archival material as well as some Russian, British, French, German, Serbian and Czech sources, Steil tells the story of not just the development of the Marshall Plan but also the division of Germany, the founding of NATO and, as the subtitle of his book indicates, the dawn of the Cold War. Steil’s account is the most detailed yet. . . . Steil is at his best when describing the myriad agencies and policies that oversaw and executed the Marshall Plan. . . . He writes elegantly on economics, explaining complicated mechanisms used to fuel the Western European recovery, such as implementation of counterpart funds, the creation of the European Payments Union and the cancellation of German debt. What is interesting and important in Steil’s account is his emphasis on U.S. initiative. . . . Steil’s well-crafted new book . . . puts the initiative in grand strategic perspective. . . . In his retelling of the story of the Marshall Plan, Steil makes an important contribution by emphasizing the U.S. role in Germany’s recovery and the political and strategic consequences that flowed from it. . . . In his concluding chapter, Steil draws some surprising comparisons between the 1940s and the post–Cold War years. Painstakingly researched and well-written. . . . A resounding success. [A] refreshingly heterodox new history. Even readers who consider themselves well-versed on what became the Marshall Plan will be gripped by the details in Benn Steil’s retelling of just how Mr. Truman’s idea became reality. . . . Mr. Steil, an economist for the Council on Foreign Relations, is at his narrative best in recounting how the program was put together. An excellent new book. . . . Steil's account picks its way through [the] arguments and counter-arguments with a quiet skill. . . . Steil's mastery of both the sources and the narrative is exemplary. [An] excellent new book. . . . The Marshall Plan is a comprehensive, well-structured, and crisply written book that almost certainly will now be the standard account of its title subject. It combines an expert examination of the economic aspects of the plan with an in-depth analysis of the relevant politics on both sides of the Atlantic, while firmly establishing the central role of the Marshall Plan in the origins of the Cold War. Benn Steil's recent work on the [Marshall Plan] is a refreshing new take on the advent of the Cold War. The Marshall Plan is a very good book, driven by a compelling narrative with excellent profiles of complicated, impressive people and institutions. Benn Steil has read widely and used archives in both Europe and the USA to write what many will consider to be the definitive history of the Marshall Plan. . . . Steil has expert command of his sources and writes with clarity about a complex set of relations. Steil has a gift for historical narrative. Steil’s superb narrative combines diplomatic, economic and political history with descriptions of such episodes as the Berlin Airlift, along with vivid portraits of the diverse primary personalities. . . . Compelling, authoritative and lucid. . . . This dramatic and engaging account of one of the most complex but enduring achievements of American foreign policy deserves a wide readership. Benn Steil . . . tells the story of this landmark initiative in colorful, compelling fashion. Drawing on extensive research, including in Soviet archives that have become available in the past quarter century, he describes clearly and explains persuasively the Plan’s origins, the difficulties the American government encountered in carrying it out, and the ways they were able to overcome the obstacles they faced. Historian Benn Steil expertly moves through the story of how and why the United States abandoned isolationism at the end of World War II, also delineating the impact of that decision on our world today. 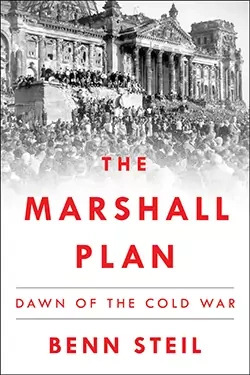 Christian Science Monitor, "10 Best Books of February"
It may be hard to imagine someone hurrying home to curl up with a work of political history, but Benn Steil’s fascinating new book, The Marshall Plan: Dawn of the Cold War (Simon & Schuster, four stars out of four), could change that. It is hard to overstate the importance of [Steil's] subject to postwar history, because Marshall sowed the seeds of the creation of the European Union, and more immediately led to the establishment of Nato. . . . The author tells the tale with admirable clarity and conviction. Benn Steil’s The Marshall Plan: Dawn of the Cold War reminded me at times of the movie 13 Days: you know how the story ends, but even so the dramatic tension of men in suits talking in a room is almost unbearable. The dawn of the Cold War—particularly the status of Berlin and the airlift—was one of those extraordinary turning points too. Steil is also a terrific writer. . . . There are loads of nice details in the book. . . . A highly recommended read. A fresh perspective on the Marshall Plan. . . . Though scholars have covered the subject many times before, general readers will do well to choose this lively, astute account. . . . Steil writes a vivid, opinionated narrative full of colorful characters, dramatic scenarios, villains, and genuine heroes, and the good guys won. It will be the definitive account for years to come. Steil’s fresh perspective on a well-tilled subject will be appreciated by specialists for its wide-ranging analysis and welcomed by general readers for its engrossing style and accessibility. [An] important examination of the Marshall Plan. . . . An excellent recounting of an ambitious, huge program that helped rebuild and transform Europe. Benn Steil has made clarifying complex subjects a specialty: first with his well-received Battle of Bretton Woods, and now with this comprehensive history of the Marshall Plan. Drawing on an equally keen grasp of diplomacy, economics, and grand strategy, Steil sets a new standard for our understanding, not just of the Cold War, but also of the post-Cold War era, where the future of Europe and the role of the United States in it are once again at stake. An outstanding—and certainly timely—accomplishment. In his new book, Benn Steil tells a double story: that of the launch of the Marshall Plan, the unprecedented American program to help rebuild Europe after World War II, and also of the various Soviet attempts to thwart and counter it. Enlivened by brilliantly wrought pen portraits, this gripping narrative adds a whole new perspective on one of the most fateful periods in world history. The Marshall Plan is a remarkably insightful and beautifully written work of diplomatic and economic history. Leaders and pundits keep calling for new ‘Marshall Plans’ around the globe, but how many actually understand what the real one was about, how it was created, and what it achieved? This book will open eyes and minds. Benn Steil’s fascinating book places the transformative design and huge impact of the Marshall Plan in the context of the early Cold War drama. Engaging, detailed, and well-researched, it takes us behind closed doors in both Europe and the United States, illuminating how the plan was created and how it changed the world. The book’s relevance extends well beyond its new historical insights, showing how offshoots of the plan continue to shape modern-day Europe. It also sheds light on how open mindsets and intelligent economic architecture can help anchor an increasingly fluid and uncertain global economy. In this fascinating book, Benn Steil returns to one of the enduring achievements of American diplomacy: the Marshall Plan to rebuild European allies that were close to collapse after World War II. A lucid and engaging writer, Steil has a rare gift for blending economic and political history, showing how the Marshall Plan dashed Soviet hopes that the United States would retreat from Europe. At a time when the radical Trump administration is trashing American alliances around the globe, this book is a powerful reminder of how hard it was to build them, and how dangerous the world can be without them. Compelling and authoritative, The Marshall Plan is a first-rate work of history. But it also bears powerfully on the present, reminding us that if soft power is the power to attract, the Marshall Plan is a stunningly successful example of it. Benn Steil’s carefully researched new book reminds us of the economic uncertainties and political turmoil that surrounded U.S. foreign policy-making in the aftermath of World War II. In the end, the right choices were made, first in developing the Marshall Plan providing economic support for economically devastated European allies, and then building in NATO a strong Western military alliance. Here we are seventy years later in very different circumstances, economic and military. The United States and its allies are strongly challenged to find new approaches to renewing the alliances. May our leaders benefit from the practical wisdom and ideas of seventy years ago. The Marshall Plan is one of the great success stories of U.S. foreign policy. Benn Steil’s well-researched and insightful account reminds us that this iconic example of strategic foresight and imagination was anything but inevitable. On the contrary, his book shows that the Plan’s creation, refinement, implementation, and eventual success required perseverance, political savvy, and plenty of plain good luck. The moral for our era is clear: successful foreign policies require creative and dedicated public servants and do not emerge without them. The Marshall Plan has become a favorite analogy for policymakers. Yet few know much about it. Finally, Benn Steil provides a readable, authoritative account of what it was, what it did, and what it achieved. Steil’s lucid reminder of US political history should . . . energize and focus citizens of democracies today, to help them recognize what a world in dramatic geopolitical flux looks like. And how smart policy and strategy, well executed, can pay dividends for decades to come. A dense, exhaustive and narratively compelling book, the result of original research among American, European and Russian archives, [Steil’s book] has the merit of consistently inserting the Marshall Plan in the framework of American Grand Strategy and among the causes of the Cold War. Lively and engaging . . . Strongly recommended, this book should be anyone’s premier go-to-source on the European Recovery Program.